Happy New Year to all from the south of France. We are settling into the apartment here in Nice and begin our French classes tomorrow. The weather has been great – cool for our SE Asia adjusted bodies but nice by any sort of northern hemisphere winter standard. We’ve had nothing but blue skies since when we arrived and nearly 64/18 every day. Today we found our school on the map and did a practice walk (just like when we were kids!). It only took us 12 minutes to get there so that spoils all hope that our school commute would burn enough energy to account for the all of the chocolate shops and bakeries in route. We’ve discovered no less than 6 chocolate shops so far in our neighbourhood wanderings. We don’t really get it, the French don’t appear overly heavy yet there are so many chocolate shops. And the bakeries are even more numerous. We should be well fortified by the time we start riding again in March. We are just now getting around to writing a SE Asia summary, hence the name of this entry. Dave figured out how to insert tables into our blogs – that should make the folks who like numbers happy. We’ve been travelling now for almost 9 months. Each of the countries we rode through is unique and left very different memories. We’ve tried to capture bit of each in a paragraph below. 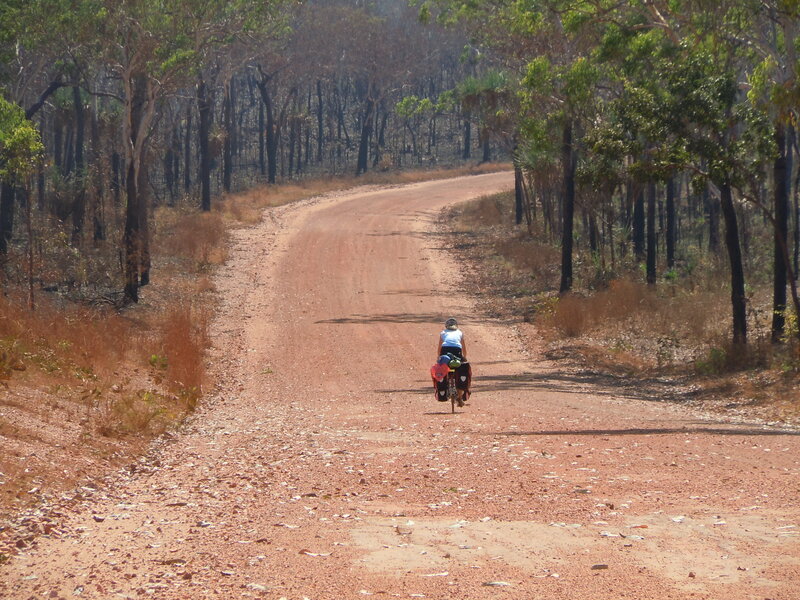 Australia – lots of bush and big distances. Pretty good roads and polite drivers, but really high speed limits (130 kph). The grey nomads were a culture unto themselves and we always felt welcomed by them. We stayed at several warmshowers or private homes and just like with the nomads found that Australian folks are very generous, and happy to have a yarn. We’d be remiss if we did not highlight our search for the ultimate egg and bacon roll – the winner probably being a self made version on any number of our caravan park rest days (stealing best recipe ideas from all the places we stopped along the way). Speaking of caravan parks, they were generally great. The Northern Territory standard dropped a little after NSW and Queensland, but we comfortably camped throughout most of Australia. Singapore – we were there for such a short time that it is hard to draw too many conclusions. We were however, hosted by the wonderful Wong family who did a great job giving us a quick snapshot of real Singapore life. They were great hosts, leading very active Singapore lives – never a dull moment. In fact, I’m not sure when they, or for that matter, the rest of Singapore sleeps. One lasting impression of Singapore is the energy. Everyone is moving fast, the traffic, the work pace, the kids – it is easy to see how Singapore has made such success as a country even though they have so few natural resources. Malaysia – Malaysia was hot. We arrived in the middle of summer and after riding through a coolish Aussie winter, we roasted while adjusting in Malaysia. We entered Malaysia at the start of Ramadan – in Malaysia more than 60% of the people follow Islam. This was our first experience spending significant of time in an Islamic country. As you would expect, everyone was welcoming. Drivers waved at us and shop owners were helpful, English was common. We didn’t camp as hotels and guesthouses were plentiful and relatively cheap. Malaysian food was great with nasi lemak and Indian buffets being particular favourites (7% of Malaysia people have Indian origin). We had a great visit in Penang with family – just what we needed. We saw lots of wild monkeys in Malaysia and more mosques and palm plantations than we could count. Thailand – The land of smiles. Thailand folks were even more friendly than Malaysia (if that was possible). The food was great, a little more spicy and sometimes a little harder to order (pad thai and pad kapao being standard orders). The mysterious Thai script and the fact that far fewer folks speak English than in Malaysia meant we found ourselves miming many conversations – amusing both locals and ourselves. In contrast to Malaysia, 95% of Thailand is Buddhist (many in the South are Muslim). Once we’d ridden a couple days north of the Malaysian border, the mosques were replaced by temples, many in perfect shape with lots of gold and fresh paint. We took hundreds of Buddha photos. We had lots of rain in Thailand and there was of course all the flooding which dominated news and conversations. We got wet a few days and had to re-route around Bangkok to miss the worst of the flooding but this pales compared to what the average flood affected resident had to deal with. The return trip to Thailand after Cambodia was all about Bangkok. It’s an amazing Asia city. Completely unplanned and probably more folks that you’d allow in if it was planned but everyone gets by. Not the place for timid walking, driving, queueing or pretty much anything. You snooze, you lose in this land of frenetic energy. Laos – Sabaidee and croissants. We knew that we would find baked breads for the first time since Australia but we were genuinely surprised by the warm “sabaidee” welcomes that chased us down the road everyday, particularly outside Vientiane. Riding the highway when the school day was starting or ending made us fell like rock stars having to wave and say sabaidee to so many kids, along with the occasional high five. Laos coffee and the Bolavan Plateau were a pleasant surprise, providing a cool break and good education on coffee. Unfortunately we saw quite a bit of poverty in Laos as well. The living standard is much lower than Thailand and people work hard just to survive but even so, they seem a pretty happy bunch. Laos Laap became Dave’s standard meal. Cambodia – Travelling from Laos to Cambodia we still felt welcome but in Cambodia we felt folks were happy to see us in part because they had figured out that tourism is a good business. We saw more begging in Cambodia but the positive side of this was many locals setting up viable businesses to build something out of tourism. Of course the Killing Fields and the suffering associated with the Khmer Rouge will always be in our memories, along with the amazing civilisation that was constructed at Angkor Wat – one country/people showing the greatest and worst that mankind is capable of. Then there is the krama (scarf) – we are both making good use of ours here in the French winter. In Cambodia, without cold, they have still found many uses. 6 flat tires, 5 for Nancy, 1 for Dave. This entry was posted in Australia Bicycle, Cambodia, France, Laos, Malaysia, Singapore, Summaries, Thailand. Bookmark the permalink. What is the name of your French school? I’d like to locate it on the map. Happy New year to both of you! Thank you for the summary! What a year you have had. Wishing you a wonderful and adventure filled 2012! La bonne chance dans la classe aujourd’hui. Mangez un croissant sur votre voie à l’école. Cela devrait aider! Great to read the years cycle touring summary and happy new year to the both of you. Happy & healthy 2012 to both of you and another great year of adventure ahead. Not sure yet. �We are looking to start in Turkey in March, then work our way to Europe avoiding Shengen countries best we can. �We hope to spend the summer Europe. I was also amazed at what the French eat and how thin they all our. Made the same comment to several people when I returned from France last summer. The obesity in our airport was a bit of a shock after the lack of obesity in France. I did love the bakeries while there! More streets covered today, more chocolate shops discovered. �How do they do it? You can drag the person to the map and use street view to “walk” the route. I’ve been trying to get Nancy to take a different route everyday so that we learn different streets and see other things. �She agreed that “maybe” we could do this next week, after she has the first route down pat! you can alter the route to match what you actually do. This was the route picked by Google Maps. But we change routes everyday – trying to find the best boulanger! i hope that you guys are having fun! i miss you guys i can still remember when you guys came to my class room it was so much fun! So as soon as you finish your French class you plan on going to Turkey? Where will you practice your French? We’ll have to speak to each other in French, plus switch all blog posts over! �We’ll be back in France once we are out of the EU for 90 days (visa rules). Hello Dave and Nancy and best wishes for the New Year. I have been following your blog all along but haven’t gotten around to saying hi since your last days in Australia. I have been quite busy, and I am only 10 weeks away from flying over to the USA and starting my own tour. I have commenced a journal http://www.crazyguyonabike.com/doc/dhs2012 but only have a couple of pages up at present. You will notice that I now have a Fuji touring bike. Alas, the Clamont is languising, sadly a little bit too neglected, in my room. Enjoy France and Europe and stay safe. Hi Nancy, happy new year to you both. Really enjoyed reading the summary of your travels in this post…and of course the statistics. I cant believe that you only had 6 flat tyres after so many km’s.